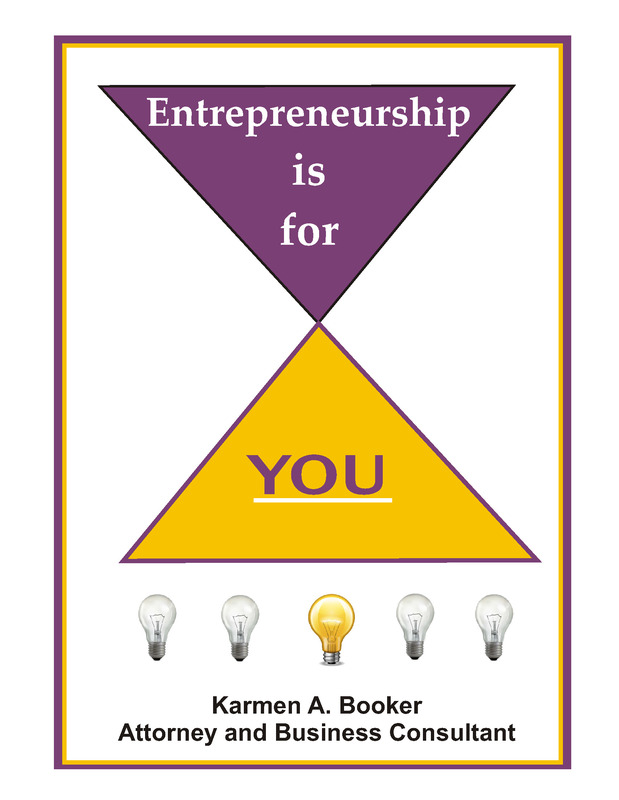 Whether business speaking engagements, teaching business and nonprofit-related topics, or coaching people in starting their own business, audiences enjoy learning from Attorney Karmen A. Booker’s unique interactive style. 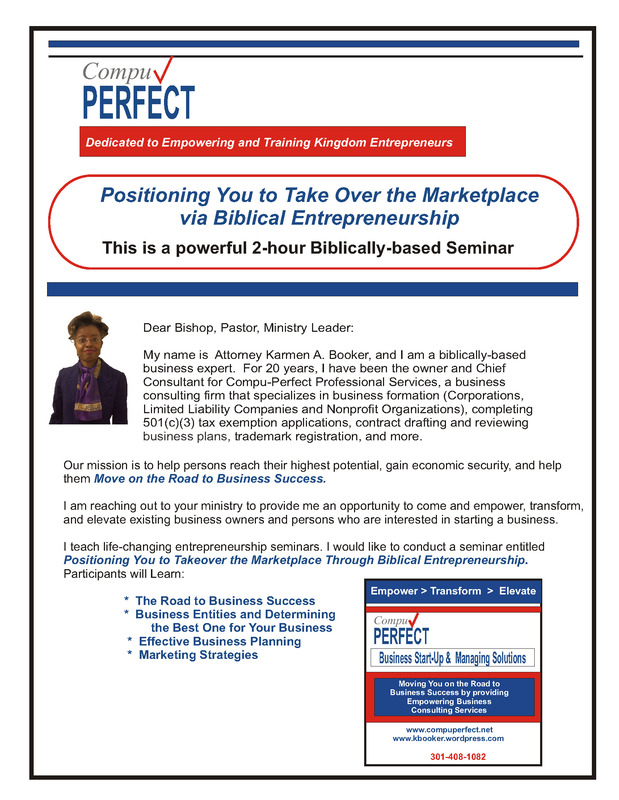 If you are interested in having Attorney Karmen A. Booker conduct a 2-hour workshop for your church or group, call her at (301) 408-1082. * Does Your Nonprofit need a Fundraising Breakthrough? Karmen A. Booker is a native of Atlanta, Georgia. She attended school there, and later attended Howard University where she received a Bachelor of Arts Degree and a Juris Doctor Degree. Mrs. Booker is a Business / Nonprofit Attorney and the Chief Consultant for Compu-Perfect Professional Services – www.compuperfect.net. Compu-Perfect is a consulting firm that specializes in corporate, limited liability company, and nonprofit entity formations, 501(c)(3) tax exemption applications, copyright registration, trademark search and registration, patent registration, grant research and writing services, and asset protection services. Mrs. Booker has 20 years experience writing contracts and business plans, forming business entities (Corporations, LLC’s, and Nonprofit Organizations), 501(c)(3) tax exemption, copyright/trademark registration, contract drafting and reviewing, and grant research and writing services. She also has 20 years editing experience. Compu-Perfect offers you uncompromised professional business services that are designed to meet your vision and specialized goals at reasonable costs. Thereby, Moving You on the Road to Greater Business Success. Joseph Gaskins, The Biz Center, Inc.
Angela McKnight, Angela Cares, Inc.
Brian Pruitt, Power of Dad, Inc.
Charlotte Bynum, House of Refuge for Hurting Women, Inc.